We are so excited to welcome your family to KidPoint! 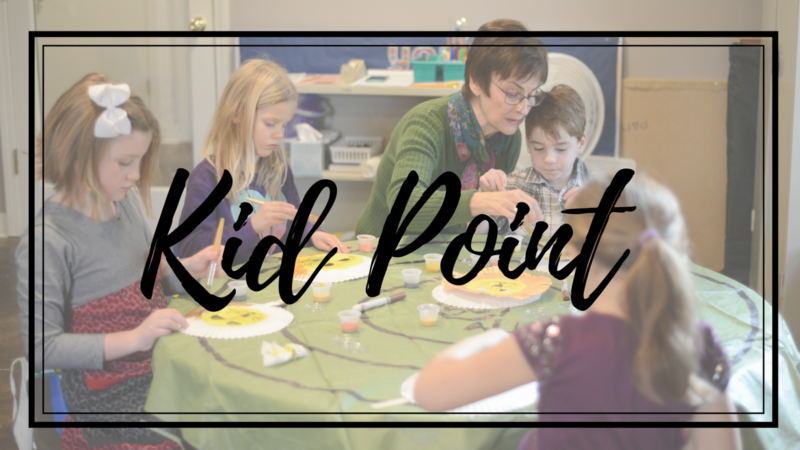 Our goal in KidPoint is to create a place that is Christ-exalting, child engaging, creative and really fun, where children learn about their need for Jesus and see Him as their only hope. It is an honor to be entrusted with caring for your children, and we consider the safety of your children to be of utmost priority. We believe that parents are entrusted by God as the primary disciple-makers of their children, and we are honored to partner alongside you in this. Empower parents to disciple their children at home during the week. Teach children the gospel using age-appropriate, gospel-centered curriculum. Provide the best care possible for our children. Be hospitable to our children and parents. Provide a safe and secure environment for children to learn and grow on Sundays. PS 1 & 2 start at 9:30 a.m.
Children: CH1 (kindergartners), CH2 (1 st &amp; 2 nd graders), and CH3 (3 rd through 5 th graders).